1.Do you have a plan on how you will create more abundance in your life? Most people do not. In other words they are expecting wealth, abundance and prosperity to all happen by accident. 2. You can’t create what you don’t identify. 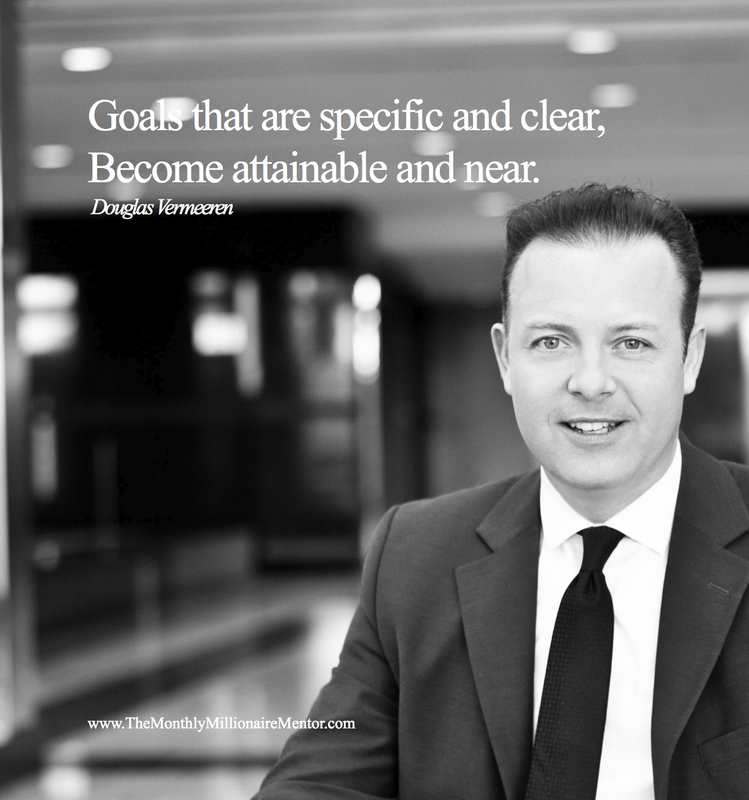 Get specific on what your financial goals are. 3. Money is not logic. If you try to make money using only logic you will fail. Money comes through exchange. And that is based in emotion. People buy emotionally and they back it up logically. 4. Broke people wait for others to help them. Wealthy people bet on themselves. 5. Money has no opinion, emotions or motives. It gets it’s meaning from the meaning we give it. 6. Income is not an accident. Income follows the systems and strategies you set up in your life. Most people are broke because they’ve never built these things. 7. Fear is the most powerful emotion and keeps most people from ever experiencing wealth, abundance and prosperity. 8. If you are having trouble shifting your money mindset and your prosperity habits make a commitment to start by doing one small thing everyday. Your habits will build as you begin to experience results. 9. Begin by being part of the money conversation. Read books about growing money, watch videos about wealth building strategies, follow the markets, read articles on real estate, attend investment seminars, talk to your banker. All these things put money on your awareness and it needs to be there first before it arrives in real life. New year is a time when many people are creating resolutions and planning for the upcoming year. Many people set new goals and make commitments to stop doing some of the things that they think have been holding them back. These resolutions often spark a giggle because most people know that they are not going to be that effective or long lasting. 1)Don’t focus on stopping – focus on starting and doing better. When we focus on stopping a specific behavior it can be difficult. Those behaviors have become habits already. Habits are difficult to change unless we have something better to replace them with. By focusing on the stopping the negative habits of the past we also bring more attention to the negative into our lives. We would get greater value by determining what the positive new traits and habits we wait are and them seek those out so strongly that they crowd out the negative. In other words, set goals for what you WILL do this year, not resolutions for what you will not do this year. And I should also add that progress and productivity are not a matter of doing more. Progress and productivity are a matter of doing better. To become wealthy, more successful, a top achiever or whatever your goals is you must constantly be on the hunt for more effective strategies. 2)Put a plan in place -When you have some ideas of what you want to accomplish this year put a place in place that can be turned into specific action. The primary reason why most goals never get accomplished can be traced down to the fact that there is no system, follow up or path towards completion every contemplated. Don’t be content to just say “I’d like to…” Follow up your declarations and decisions with a plan. What can you do starting today? A purpose without a plan is not progress. 3)Take action now – Even with a plan in place you need to get started. Action is the ingredient that transforms all ideas from a mind into reality. Without action you cannot have a new reality. It may sound simple but for most people it is not. They often wait for conditions to be perfect or at least more ideal. Don’t wait. Conditions will never be ideal. But as you take actions conditions will change. Top achievers do not wait for conditions, they create them. You must do the same. You must be willing to act in faith on what could be, not what already is. Do not search for ideal conditions, search for possibilities. You may remember something I said in The Opus Movie, “Top achievers are not perfectionists, they are improvisors.” I believe this is crucial. Don’t wait for ideal or perfect conditions to act. Get started today! I hope these three thoughts have given you some thoughts to consider as you look at how you begin to approach 2013, but remember it doesn’t require a new year to make a change. Change is not attached to a specific date on a calendar. You can set goals and resolutions at any time. So don’t be afraid to come back and reevaluate and readjust later on this year. The key is to think carefully about what you really want and the get moving in that direction. Happy New Year and make the best of 2013! And all the best from my family to yours!